Posted September 7th, 2018 by Kirti & filed under Karooya's AdWords Scripts, Responsive Search Ads. With our new AdWords script you can track performance of your Responsive Search Ads versus Expanded Text Ads and take necessary measures to optimize the performance, if required. When you run this script, you will get one sheet with following processed data. If you have used “Segment” feature in your Google Ads account, this sheet is like having a “Segment by Responsive Ads vs Expanded Ads” option at ad group level. For each ad group, you will see the cumulative performance of responsive search ads and expanded text ads side by side. The columns are laid out to make it really easy for you to compare metrics (like CTR, Impressions, Conversions, etc.) for responsive search ads and expanded ads in an ad group. The ad groups are sorted by total cost, in descending order. That is, performance of your highest spending ad groups will show up at the top. (Please note, RSA – Responsive Search Ads and ETA – Expanded Text Ads). With this script you can identify ad groups where your RSAs are underperforming in comparison to ETAs on any of the key metric, such as CTR, CPC, Conversion Rate, etc. 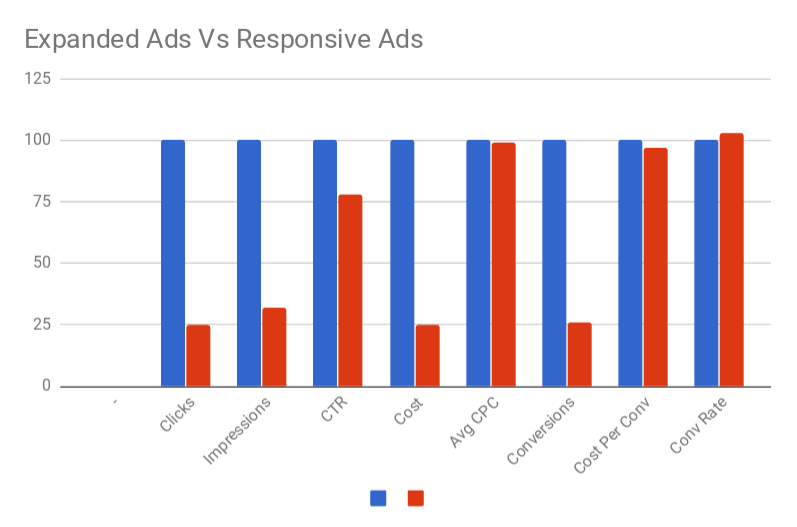 If you want to highlight all the ad groups where CTR for RSAs is less than CTR for ETAs, with a minimum 500 impressions for expanded ads, all you have to do is apply conditional formatting available in Google Sheets, where the results of this script are available. How to get the Responsive Search Ads AdWords script? 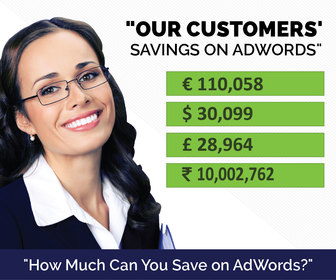 MAX_ADGROUPS : This report is generated for top ad groups in the account, by spend. This variable specifies number of top ad groups to be included in the report. By default, this is set to 500. That is, the report is generated for top 500 ad groups, by spend. You can increase this limit, if you are running a large account. From our experiments, we have see that it takes approximately one second to process one ad group. Increasing this limit will make the script run longer. A script can run for a maximum of 30 minutes, which means, about 2000 ad groups will be processed at a maximum. Run this script and see how your account is performing for responsive search ads.